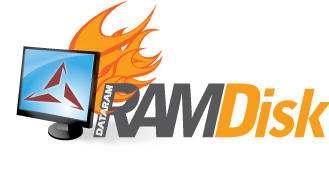 RAMDisk is a program that takes a portion of your system memory and uses it as a disk drive. The more RAM your computer has, the larger the RAMDisk you can create. In a word: SPEED! The performance of a RAMDisk, in general, is orders of magnitude faster than other forms of storage media, such as an SSD (up to 100X) and hard drive (up to 200X). Go Extreme! This version will allow you to create a RAMDisk up to 64 GB in size and enable additional features not available in the freeware version.